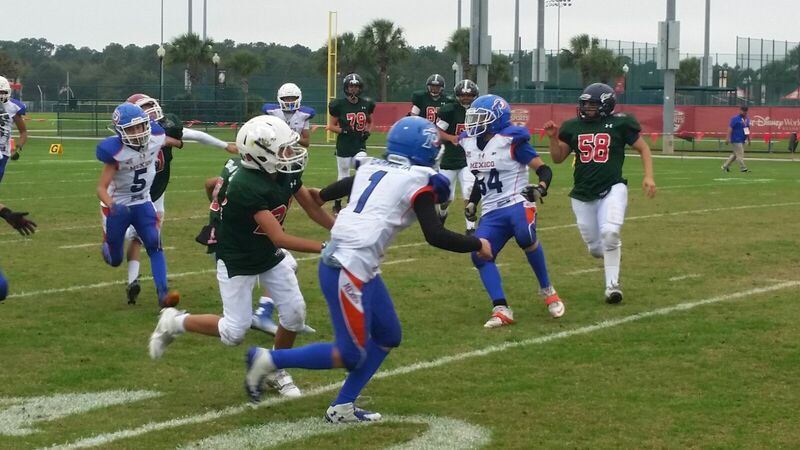 The International Bowl action at the 59th annual Pop Warner Super Bowl got underway on Monday at ESPN’s Wide World of Sports in Orlando. Teams from Mexico, Canada and the UAE played round-robin games in the Midget and Junior Midget divisions under clear skies and 76 degrees after a cool start to the day. “We enjoyed a fabulous opening round as the teams shook off their travel legs and each played two 24-minute games,” said Global Football President Patrick Steenberge, organizer of the International Bowl games. 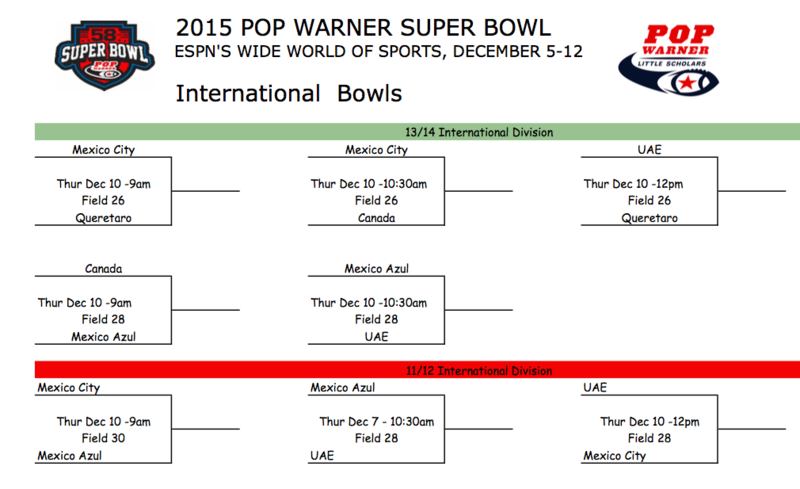 “The EAFL team from the UAE is vastly improved from last year, as is Mexico Azul. Canada is strong as usual. 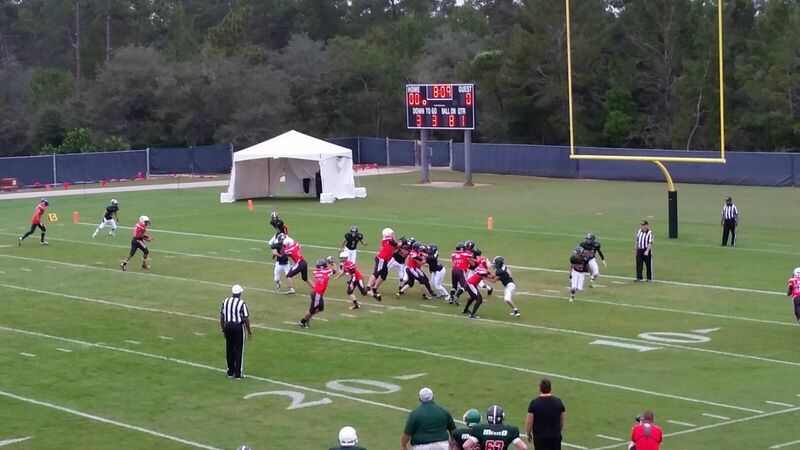 In the Midget Division, Canada’s Ontario-based team, led by head coach Peter Wilson, posted two wins, beating Queretaro from Mexico 22-0 and then scoring 20 unanswered points against a EAFL Falcons team from the United Arab Emirates that had previously beaten Mexico City 24-0. 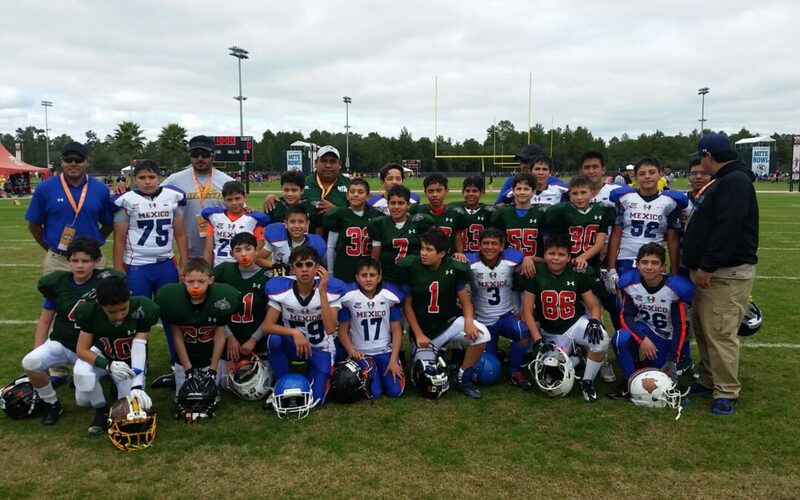 In two all-Mexican match ups, Mexico Azul, under head coach Christian Alejandro, also recorded two victories, 13-0 over Queretaro and 9-0 over Mexico City. 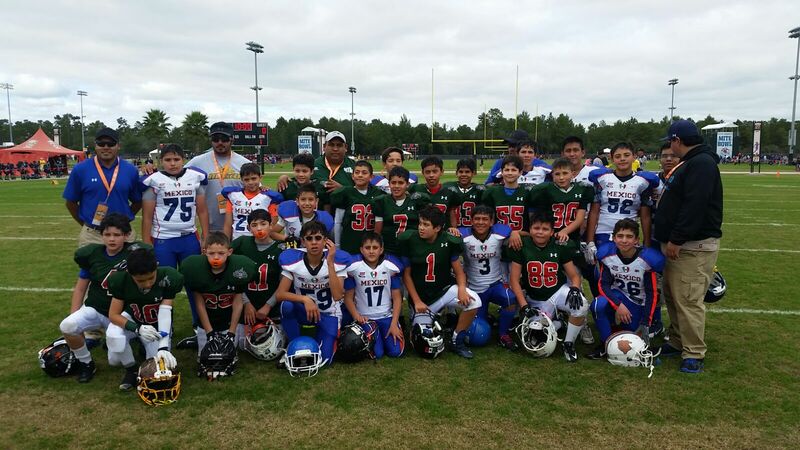 The Junior Midget Division featured a total of three games on Monday, with Mexico Azul making the early running with two wins, with the EAFL Falcons also tasting victory.